If you use Payroll or Payments by Wave, you’ll need to provide your bank account information so Wave knows where to deposit or withdraw your money. If you want to connect your bank accounts to automatically import your transactions into Wave, you’ll need to enter this information as well. If you are using the same bank account for all three purposes, remember you'll need to enter this information separately each time. You'll be asked to enter your institution, transit (branch), and account numbers. You can find this information by consulting a physical cheque. The numbers will be at the bottom. If you don’t have cheques for this account, contact your bank. You'll be asked to enter your routing number and account number. You can find this information by consulting a physical check. The numbers will be at the bottom. If you don’t have checks for this account, contact your bank. If your transit number is less than 5 digits long, enter 0’s at the beginning until it totals 5 digits. Enter your account number in full. Do not add any dashes, spaces, or additional 0’s. 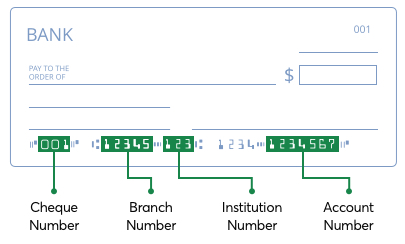 Your bank may use a different routing number for electronic processing (what Wave will use) than for physical checks. If you aren’t sure, we recommend reaching out to your bank to verify you are using the correct routing number. Ask them about the EFT or ACH routing number for your account. TD Canada Trust 004 7 digits The last 7 digits on your cheque. Do not include the 4 digit designation number that precedes the account number. Desjardins 815 7 digits The last digit on your cheque, the verification digit, is part of your 7 digit account number. Make sure to include this! Tangerine 614 10 digits For online banking, the transit number will always be 00152. HSBC Bank of Canada 016 9 digits The account number is the last 9 digits on your cheque. The transit number will always begin with 10XXX. Can I link a US bank account to my Wave account? No. As a Canadian business, in order to receive or process payments, you must use a Canadian bank account. Can I link a Canadian USD bank account to my Wave account? No. All payments for your Canadian business will be processed and paid out in Canadian dollars. At this time, Wave does not support payouts to US dollar bank accounts in Canada. Can I link a foreign bank account to my Wave account? No. In order to receive or process payments, you must use a US bank account if your business is located in the US. Are there any bank accounts I shouldn’t use? To deposit invoice payments or pay your employees via direct deposit, Wave requires the ability to credit and debit your bank account. A “non-transactable” account, i.e. some savings accounts, won’t allow this. If you aren’t sure if the account you want to connect meets this definition, we recommend contacting your bank. 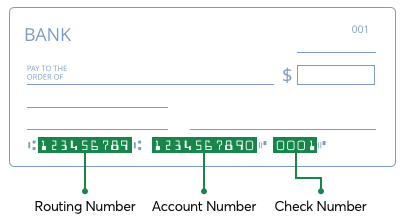 When entering your banking information manually, enter carefully and watch for typos. Entering incorrect account details will cause payouts and payments to be delayed.